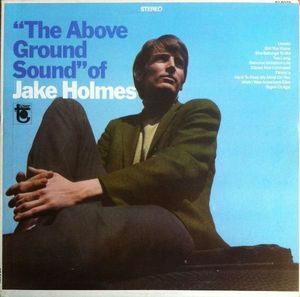 The first I heard of Jake Holmes when I was about 25. It was from an issue of “Ugly Things” where they reviewed his forgotten album, “The Above Ground Sound of Jake Holmes.” He’s actually most well known for having had his song “Dazed and Confused” stolen by The Yardbirds(and was later recorded by Jimmy Page and Led Zeppelin after they disbanded.) They had seen Jake play it at Village Theater in Greenwich Village in 1967. Personally I’m not really into the song “Dazed and Confused.” The tracks which have always drawn me to Holmes’ music are “You Can’t Get Love” and “Signs of Age,” particularly through his thoughtful lyrics and the way he builds up the song.